The replacement of Britain's House of Lords is once more being debated. Why not have it selected by lot rather than elected? The idea is always scorned but spontaneously bounces back. You know that by being particularly bloody-minded, the House of Lords can stymie legislation. We could have a deliberative poll where you bring together 500 people, selected carefully from the voting register, who represent the demographics of Britain, and then have them hear evidence. Er, no. We already have a well-proven, practical and efficient system that's been achieving all these benefits simultaneously – and has been doing so for a very long time. 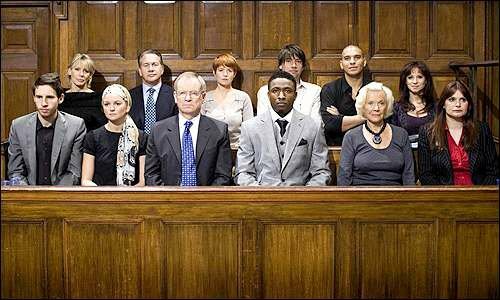 A few important modifications to the way jury members are recruited would obviously have to be introduced – e.g. geographical representation, number of members, length of service, how frequently should new members be appointed, remuneration, training, etc.